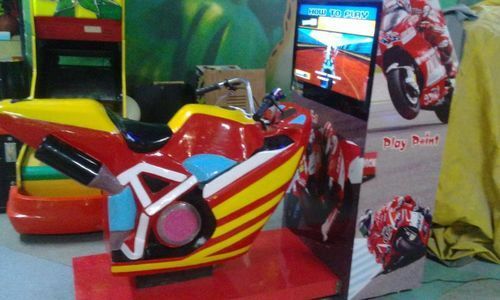 (BIKE RACE) 32” LED Screen. Play Point came into being in the year 2009 and carved a niche as the leading manufacture, supplier, trader, of the wide range of Fighting Game, Gun Shooting Game, Air Hockey, Soft Jumping and many more. We aim at providing best equipment for Entertainment Centers. We also provide reliable and safe video arcade games and related services. We posses good experience in leisure industry and with our range we try our best to make your leisure time entertaining and free from boredom. Since the time we came into existence, our aim is to provide professional services and best products at wholesale rates. Our offered toys are made under the supreme vision of highly talented experts, who have prosperous industry knowledge. Due to finest quality, superior finish, durable nature and reasonable prices, these toys are extremely demanded in the market. Owing to the wide distribution network, we are capable of delivering our consignment at desired location on time.